Visit AAMD member museums across North America to participate in this year’s Art Museum Day on May 18, 2018. 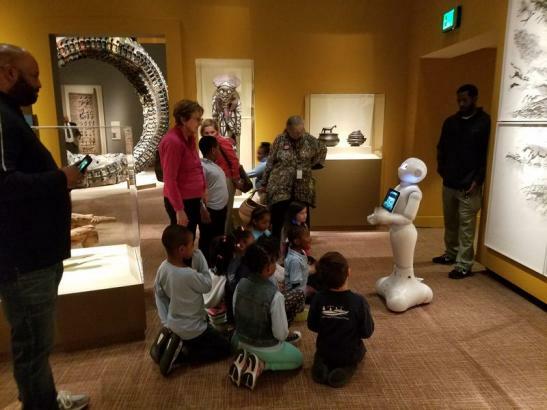 The theme for Art Museum Day 2018 is Hyperconnected Museums, a recognition of the many ways in which museums serve as central points of connectivity within their communities, both online and in person. Last year, 161 museums participated, providing everything from free admission to special programs. Art Museum Day recognizes that museums are often important civic anchors, offering inspiring and educational experiences in ways that make towns, cities, and regions better places for everyone who lives and works there. Hyperconnected Museums also serve as engines for the creative economy, tapping the human creativity embedded in works of art—whether thousands of years old or as recent as 2018—to inspire new ideas and ways of thinking. AAMD Museums: if you have not yet registered to join Art Museum Day 2018, click here! AAMD’s Art Museum Day—organized in concert with ICOM’s International Museum Day—will take place on and around Friday, May 18. Below is a list of participating museums for 2018. Following is a list of AAMD member museums participating in Art Museum Day 2018. Note that while ICOM’s International Museum Day is formally held each year on May 18, some institutions shift their celebrations to adjacent dates. The Montgomery Montgomery Museum of Fine Arts will celebrate Art Museum Day on Sunday, May 20, with free admission from 2 to 4 P.M.
To mark the occasion, the MMFA will host a special edition of Family Art Affair and Jazz Jams on Sunday, May 20, and as always, admission is FREE. The Museum encourages guests to share their experiences at the MMFA’s Art Museum Day celebration via social media, with the hashtag #ArtMuseumDay. We also encourage our guests to celebrate the Opening of the ARTWORKS Corridor Exhibition: Learning Through Art, an exhibition featuring the work of third and fourth-grade students from Wares Ferry Road Elementary School. The students were enrolled in the MMFA Artist in Residence Program for the 2017-2018 school year. Join us to commemorate the Anchorage Museum’s 50th anniversary and International Museum Day/Art Museums Day. Dress in 1960s attire, take a museum history tour, join our “Happy Birthday” sing-along. Vintage 1968-era pricing for Alaska residents only for this day: $2.17. 11 a.m., 1 and 2 p.m.
Join a special tour through the museum building’s past from 1968 through today. Come celebrate Art Museum Day at Crystal Bridges with free admission to our permanent collection galleries, including the focused exhibition "The Garden." Celebrate Art Museum Day and welcome Asian Pacific American Heritage Month at the Asian Art Museum. On Sunday, May 6, the museum joins the City and County of San Francisco in Celebrating APA Heritage Month with a free, museum-wide celebration featuring an artist’s talk, kids’ tours, art-making and more. Choreographer and Flyaway Productions founding artistic director Jo Kreiter, and composer-performer Van-Anh Vo, talk about their upcoming project, Tender. An apparatus-based, off-the-ground dance on the facade of the Tenderloin’s Cadillac Hotel, Tender interweaves excerpts of interviews from members of the Tenderloin-based Vietnamese community into the performance. Short samples of the music will be interspersed with the talk. Don’t miss three special exhibitions: Divine Bodies; A Guided Tour of Hell; and Testimony. 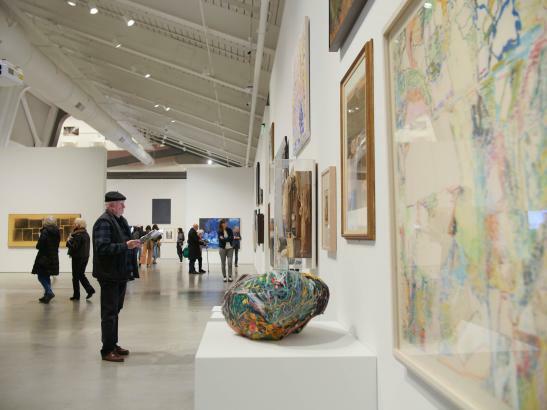 Guided tours of the exhibition Way Bay, a wide-ranging exploration of 200 years of Bay Area creative energies. Language Project with Shaghayegh Cyrous: a participatory workshop incorporating performance, storytelling, and recording that offers workshop members an opportunity to connect and exchange histories and languages. As a "cultural town square" for our communities, BAMPFA offers an exciting, welcoming place to come together around new ways of thinking, seeing, and participating creatively in our culture. FREE for everyone! Ages 5+. An amusing and educational tour, perfect for introducing art to children 5 and older (and their adults who tag along). FREE for everyone! All ages welcome. 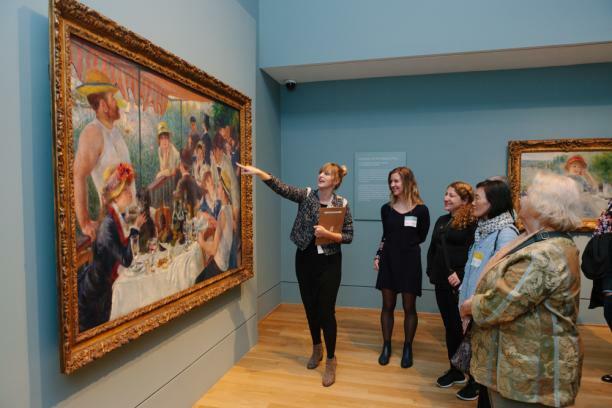 Discover the essence of the Crocker's permanent collection with a lively docent-led tour! Explore this all-ages, hands-on world of whimsy and nostalgia inspired by vintage toys, designed by local artists and funded in part by IMLS and First 5 Sacramento. FREE for everyone! Ages 5 and under. Climb aboard our pint-sized Papuan Spirit Canoe and dive into a world of symbols, figures and abstractions, as a wonderful way for little visitors to release some energy while they learn and play together. Free admission from 11:00 a.m. - 9:00 p.m.
Free film screening at 7:00 p.m. 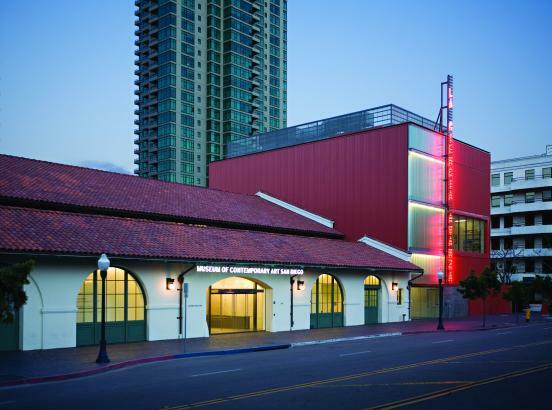 Celebrate Art Museum Day at the Museum of Contemporary Art San Diego’s downtown location with free admission from 11 AM to 5 PM. The celebration continues from 5 PM to 8 PM with MCASD’s signature program, Downtown at Sundown. Enjoy free Museum admission and exhibition tours, DJ-spun tunes, free entry at SDSU Downtown Gallery, drink specials at the adjacent Stone Brewing Company Store, and so much more. Explore the exhibitions Yve Laris Cohen: Meeting Ground and Sadie Barnette: Dear 1968,... with complimentary tours at 5:30 and 6:45 PM in the Jacobs Building. Pick up gourmet vegan fare from the Original Herbivore food truck to pair with happy hour specials next door at the Stone Brewing Company Store. Dine at one of our neighborhood including AAHARN and Waters Fine Foods & Catering, and enjoy re-entry to the event when you're done! Half-price admission for adults; free for children under 18. Free public tour at 6:30 p.m.
Tours and hands-on artmaking in the 3-D Studio. Included with free general admission for youth 18 and younger. "Pay Like a Kid!" Everyone pays $8 admission. Enjoy free admission and special Hartford-themed tours in celebration of Art Museum Day! Held in concert with ICOM’s International Museum Day each year, the Association of Art Museum Directors’ Art Museum Day is an international celebration of the importance of museums in our world. 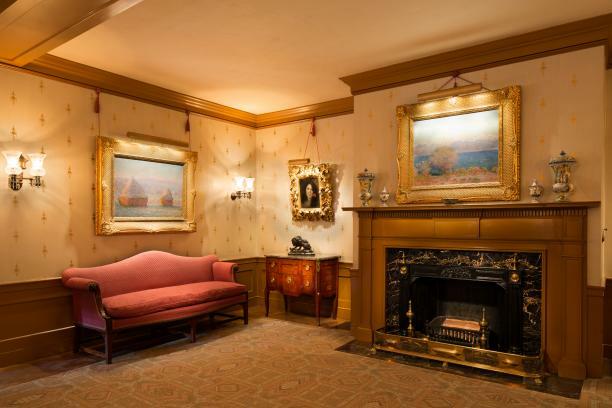 Join a docent-led tour of the Center's collections, including a look at the Founder’s Room. 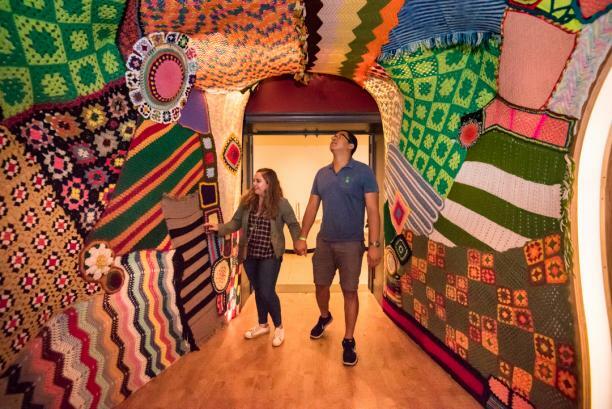 The George Washington University Museum and The Textile Museum will celebrate Art Museum Day on Friday, May 18, with free admission and special activities. 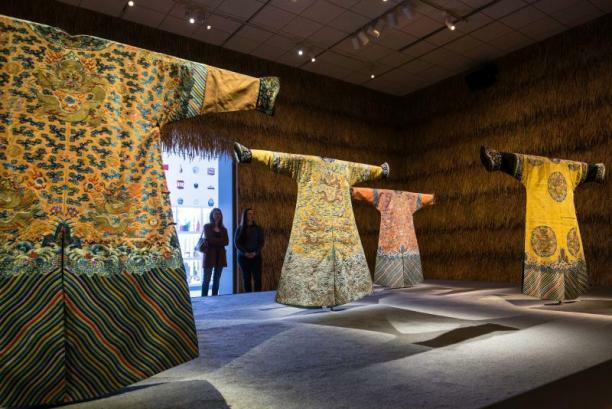 Join Curator Lee Talbot at noon for a free tour of the exhibition "Vanishing Traditions: Textiles and Treasures from Southwest China," which showcases dazzling costumes worn by Chinese minority cultures for festival celebrations. Try your hand at cross-stitch embroidery techniques inspired by the exhibition in our new educational gallery, "Textiles 101." Hillwood is celebrating Art Museum Day with $5 off an individual or family level membership. Valid for in-person purchases only on Friday, May 18. Beginning at 11 a.m. on Friday, May 18, the museum’s Great Hall and mezzanine level will be difficult to access due to an event set up. The collection galleries and special exhibition Women House will be open with free admission, but the Mezzanine Café will be closed. We apologize for the inconvenience. Special events provide essential support for our exhibitions and programs. Adapting figures from historical Chinese photographs, Hung Liu (b. 1948) reimagines antique depictions of laborers, refugees and prostitutes. After toiling for four years in rice and wheat fields as part of Mao Zedong’s Cultural Revolution, Liu trained as a painter in her native China and later California, where she lives and works today. To create her works on paper, she blends an array of printing and collage techniques, developing highly textured surfaces, veils of color and screens of drip marks that transform the figures in each composition. Recently, Liu has begun to explore historical American subjects, particularly families caught in the Dust Bowl of the 1930s, a context of struggle and migration that resonates for the artist. This focus exhibition continues NMWA’s exploration of innovations in printmaking, a medium in which women have worked since at least the 16th century. Questions about a woman’s “place” resonate in our culture, and conventional ideas persist about the house as a feminine space. This eye-opening exhibition features more than thirty global artists who conceive of home as a place for demonstration and liberation rather than a space solely for nurturing comfort and stability. This new exhibition forms a sequel to the famous project Womanhouse, developed in 1972 by Judy Chicago and Miriam Schapiro. Similar to their artistic foremothers in the 1970s, contemporary artists in Women House recast conventional ideas about women and the home with acuity and wit, creating provocative photographs, videos, sculptures and room-like installations built with materials ranging from felt to rubber bands. Organized across eight themes—including “Desperate Housewife” and “Mobile Homes”—Women House emphasizes the plurality of contemporary women artists’ views on the home. NMWA is the only U.S. venue for this cutting-edge exhibition organized by La Monnaie de Paris. Many women artists in the first half of the 20th century found work illustrating books. Working for large or niche publishing houses, creating cartoons or caricatures, or writing and illustrating their own books, these women managed careers as illustrators while also working for recognition as painters and printmakers. Featuring books and archival documentation, the exhibition includes artists such as Edna Reindel, Vanessa Bell, and Loïs Mailou Jones. 1pm: Open Studio Friday, a program that invites visitors to experiment with art medium and materials. 12pm: Free Spotlight Talk Spotlight Talks are 15 minutes of discussion focusing on different works of art from the museum's permanent collection. The Smithsonian American Art Museum, the nation’s first collection of American art, is an unparalleled record of the American experience. The collection captures the aspirations, character, and imagination of the American people throughout three centuries. The museum is the home to one of the largest and most inclusive collections of American art in the world. Visit today! The museum will offer docent-led guided tours at 10:30 a.m. and 12p.m. of its exhibitions Visionary: Viewpoints on Africa’s Arts and at 2:30 p.m. of World on the Horizon: Swahili Arts Across the Indian Ocean. There will be discounts in the museum store from 1 p.m. to 3 p.m. The Bass, Miami Beach’s contemporary art museum. Photography by Zachary Balber, courtesy of The Bass, Miami Beach. In support of the Association of Art Museum Directors’ National Museum Day, The Dali is offering discounted admission of $10 at the door for all Florida residents with valid ID. Come see the works of Salvador Dali in our permanent collection and enjoy our special exhibition Dali/Duchamp during its final week; enjoy tastes and treats at Cafe Gala; shop the Museum Store; and tour the gardens and soak in the brilliance on St. Petersburg’s downtown waterfront. This special Museum Day offer does not apply online. Last ticket sold at 5:15pm. Saturday, May 19 is Community Day: Arts and Minds. Enjoy free admission, tours, art-making and other creative activities with your museum. Join in the launch of the Harn’s new tele-tours, and explore current exhibitions through themes of community building, service and empathy. 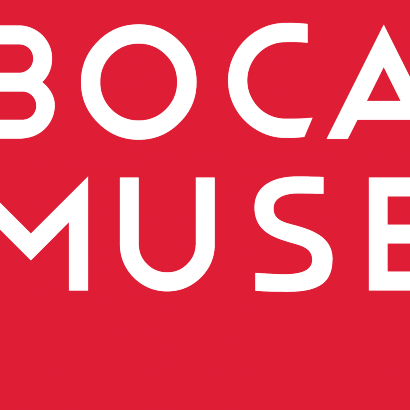 On Saturday, May 19, 2018 the Museum of Fine Arts in downtown St Petersburg celebrates Art Museum Day with 30% off new Individual and Dual annual memberships (discount not offered on renewals). As a Member of the first art museum in St Petersburg, you will have immediate access to 5000 years of art and culture, world-class exhibits and Member/Community programming, along with discounts at the MFA Café and the Museum Store. In addition to MFA benefits, you receive reciprocal benefits at hundreds of other museums across the country. Also on Art Museum Day, NASA Astronaut and artist Nicole Stott will talk about her travel to space and her interest in the arts during our Saturday Make & Take at 11am. Then, create your own work of art with Nicole! FREE with Museum admission (or included with your new Membership). No registration necessary. Recommended for ages five and older, but entire families are encouraged to participate. 20% off of OMA branded merchandise in the gift shop! Members save an additional 10%. On Friday, May 18, Pérez Art Museum Miami (PAMM) will offer Buy One, Get One free (BOGO) admission. Free museum tours will be available at 11am, 12pm and 2:30pm. One day. Free admission. Special perks. 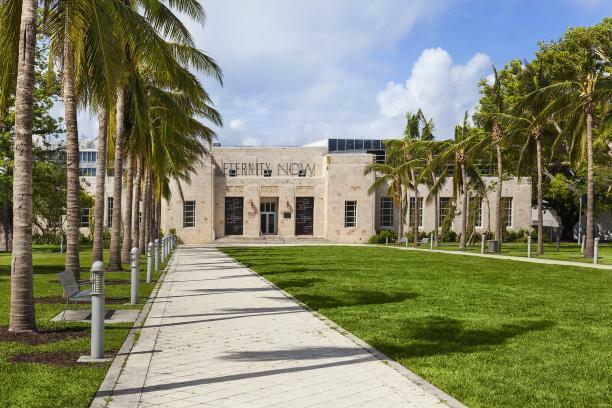 Every year, The Wolfsonian joins hundreds of AAMD member institutions by waiving admission and inviting everyone to enjoy art and design at no cost. Take advantage of a 10% discount in our chic design store or become a member at 25%-off the Popular and Dual/Family levels—and if you show us a little love on Instagram, we’ll throw in a free American coffee and super stylish Wolfsonian mug (yup, it’s worth it!). Also, stick around in the evening for a free staff-led guided tour, 6–6:45pm, and a free Into the Stacks session with Bookleggers Library's own Nathaniel Sandler, 7–8:30pm. RSVP is required for Into the Stacks at wolfsonian.org, as space is limited. Friday Jazz from 6 to 10 p.m.
Join us as we celebrate Art Museum Day and the final days of "Deborah Roberts: The Evolution of Mimi" Curator of Education, Makeba Dixon-Hill along with special guests, will field questions on the current exhibition as well as general inquiries on art and museums in a special edition of #AskACurator. The Museum will also offer virtual tours on Friday, May 18 and Saturday, May 19 in addition to guided tours. Whether visiting virtually or in person, guests are invited to share their Museum experience via social media using hashtags #ArtMuseumDay #LiveWithMimi and #BeYourOwnMuse. Boise's museums and cultural attractions are coming together to celebrate International Museum Day. All participating museums/attractions will host booths at the World Center for Birds of Prey. The event will be held on Sunday, May 20th from 12:00 p.m. - 4:00 p.m. The Art Institute of Chicago will be celebrating Art Museum Day on Thursday, May 17, with free admission for Illinois residents from 5:00p.m.- 8:00p.m. Museum Orientation Tour, 5:30p.m. -6:30p.m. Performance: Marc Ribot, 6:00p.m. -7:00p.m. Join us as eclectic guitarist and composer Marc Ribot presents an intimate in-gallery solo performance in response to the paintings of Ivan Albright. Presented in association with the exhibition Flesh: Ivan Albright at the Art Institute of Chicago. Mention Art Museum Day 2018 for a free poster giveaway at Block Museum front desk. Closing weekend of the MCA exhibition, Howardena Pindell: What Remains To Be Seen, a career retrospective spanning 5 decades of Ms. Pindell's work as artist and activist. Consider a ticket to an MCA talk about the practice of Howardena Pindell in our theater at 6pm. 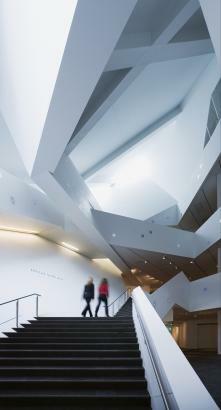 Join us for a docent led tour of galleries at 1pm. Take part in the Joan Giroux artist project in the Commons. Free general admission. 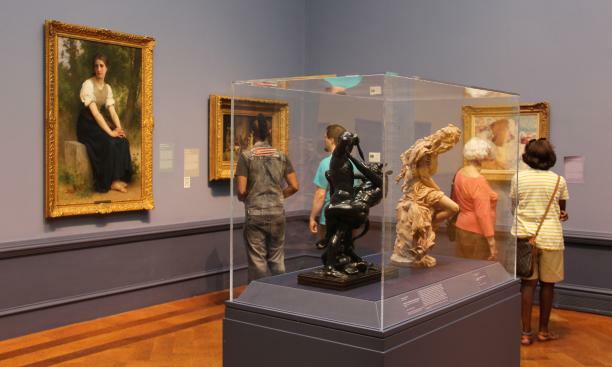 Admission charge for Monet to Matisse: French Moderns from the Brooklyn Museum, 1850-1950. The New Orleans Museum of Art is committed to preserving, presenting, and enriching its collections and renowned sculpture garden; offering innovative experiences for learning and interpretation; and uniting, inspiring, and engaging diverse communities and cultures. NOMA is New Orleans’ oldest fine arts institution and most ambitious cultural convener. NOMA’s permanent collection is at the heart of all museum programs and has grown from 13 works in 1912 to over 40,000 today. On May 17th, the Portland Museum of Art will be offering a highlights tour and screening the film "M" as part of our curated Weimar film series. Curator Tessa Hite will lead visitors through the galleries to discuss the themes and works presented in the exhibition. This event, organized with Andover's Memorial Hall Library, is free, but space is limited; please register online at mhl.org/events or call 978.623.8430. The Harvard Art Museums will offer free admission to all visitors on May 18, 2018. Additionally, receive a 10% discount on memberships purchased on Art Museum Day. 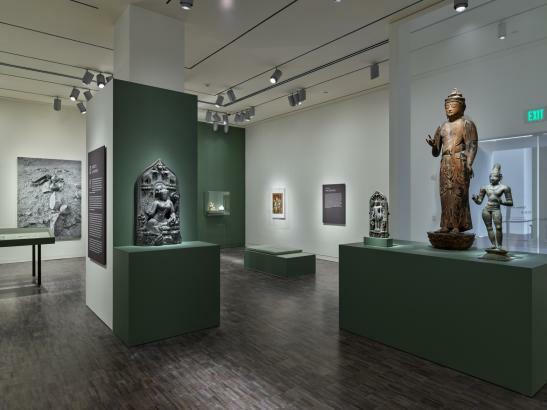 Explore the collections galleries of the Fogg, Busch-Reisinger, and Arthur M. Sackler Museums, and see the special exhibition "Inventur—Art in Germany, 1943–55." Also on display is a special loan from the Van Gogh Museum, "Snow-Covered Field with a Harrow," which you can view in Gallery 2700 on Level 2. On May 17, the Williams College Museum of Art (WCMA) celebrates Art Museum Day with one of its signature programs. 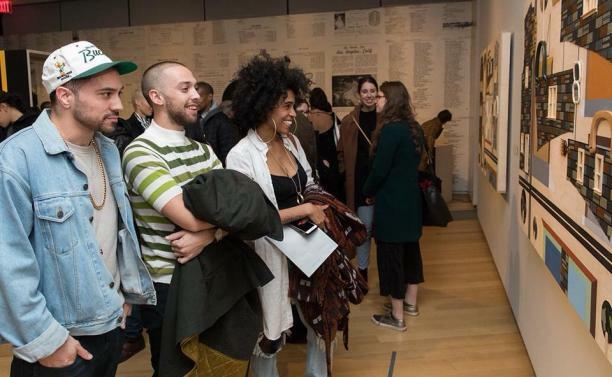 The Getting A Read On series, hosted in the historic Reading Room at 5:30pm, is an opportunity to convene the museum’s broad and diverse public around relevant social issues. With a single work of art as the focal point, these conversations allow community perspectives to inform the way the museum interprets, displays, and teaches with objects in its collection. WCMA’s recent acquisition of Catherine Opie's photograph "Renee," (1994) is the focal point for a salon-style conversation about the body in art, culture, and society in WCMA’s Reading Room. The photograph is a part of Opie’s Portraits series, a group of 50 photographs created between 1993 and 1997 of Opie’s extended network of LGBTQ+ friends. The conversation will explore the work in the context of theories of race, gender, sexuality, and selfhood with Tatiana McInniss, PhD, Associate Director of the Davis Center, Williams College’s multicultural center. Williams College Museum of Art. Photo by Bradley Wakoff. 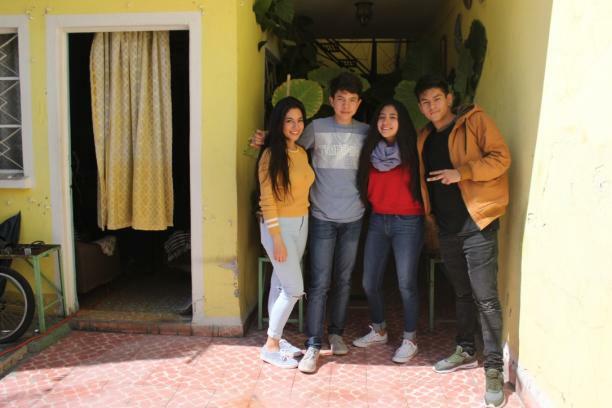 The Antiguo Colegio de San Ildefonso has organized a ground breaking Public Education mini-marathon initiative in collaboration with Museomix MX. This international initiative seeks to build new ways of experiencing museums. Hacedores, an innovative design company is supporting this initiative. This activity is intended to encourage young people to think of new ways for the Public to explore , enjoy and understand our country’a famous murals and ensure future generations can do the same. Semana de Los Museos - Free admission May 12-20! 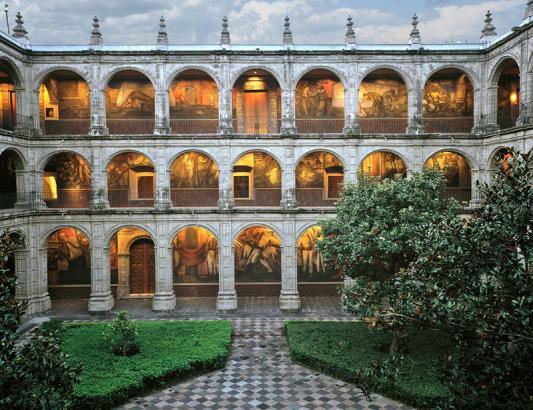 Feliz día Internacional de los museos en el Museo Nacional de San Carlos! In an increasingly connected world, it is impossible to understand the role of museums without taking into account all the connections they make. They are an inherent part of their local communities, their cultural landscape and their natural environment. On the International Museum Day, MUAC proposes to reflect on how and with which tools, art museums create virtual, face to face and institutional networks with their audience. Our goal on this day is to shift our activities operation from the outside to the inside. Thus, we have invited collaborators of our community programs such as MUAC en tu casa (2018) and Proyecto Pedregales de Santo Domingo, to develop a series of guided tours that respond from their own perspectives, to new approaches around the concept of hiperconnectivity. 11:00 Guided tour with MUAC en tu casa team Leopardas Dinamita at Carlos Amorales. Axiomas para la acción (1996-2018) exhibition. 12:00 Guided tour with philosopher Manuel Alejandro Trejo, UNAM at Sublevaciones exhibition. 14:00 Guided tour with MUAC en tu casa team Kaalnava at Carlos Amorales. Axiomas para la acción (1996-2018) exhibition. 16:00 Guided tour with Fernando Enciso, cultural producer and activist at Sublevaciones exhibition. 11:00 Guided tour with MUAC en tu casa team Ramee at Sublevaciones exhibition. 12:00 Conference with Alberto López Cuenca: “How to construct networks and virtual communities from the museum?”. Sala de Conferencias, MUAC. Fernando Díaz Enciso. Writer, cultural manager, activist and coordinator of Centro de Artes y Oficios Escuelita Emiliano Zapata at the Pedregal of Santo Domingo. On the IDM, Fernando will share an exhibition tour through Sublevaciones from the point of view of the dissent as a settler founder of the neighborhood Pedregal de Santo Domingo. Alberto López Cuenca. Research Professor in the Master of Aesthetics and Art of the Benemérita Autonomous University of Puebla and PhD in Philosophy from the Autonomous University of Madrid. 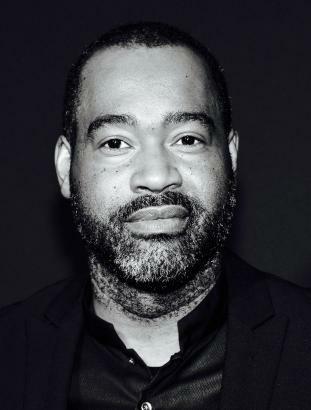 His fields of research are the theory of contemporary art; artistic practices, authorship and new technologies; and, creative work and post-Fordism. His contributions have appeared in international publications such as Afterall, ARTnews, Culture Machine, Parse, Curare or Revista de Occidente. He has co-published two books, Intellectual property, new technologies and free access to culture (2008) and do you want to save the changes? Intellectual property and digital technologies: towards a new social pact (2009). His last book, published by the Digital Culture Center in Mexico, is entitled Los comunes digitales. New ecologies of artistic work. He has been a visiting professor at Columbia University in New York and at Goldsmiths, University of London, and a professor at the Autonomous University of Madrid and the University of the Americas, Puebla, where he was postgraduate coordinator and director of the Doctorate in Creation research group and theories of culture. He is currently a member of the National System of Researchers, level 1. In the framework of the DIM, Alberto will give a talk on “How to weave networks and virtual communities from museums?” to open a space for critical discussion and exchange. The FIA will offer free admission to the galleries and special exhibitions. The FIA Museum Shop and The Palette Café will offer members a 20% discount and non-members a 10% discount. Membership discount: New members who buy one year of membership get one year free. We're offering free tickets to "Power and Beauty in China's Last Dynasty: Concept and Design by Robert Wilson" on Friday, May 18, 2018 for Art Museum Day! To celebrate Art Museum Day, we’re welcoming new Walker members with a special offer – a $95 Friend-level membership (regularly $125)! Save $30 on a Friend-level membership for two, which includes unlimited free gallery admission at the Walker and over 800 other museums. Offer is valid May 17-20. 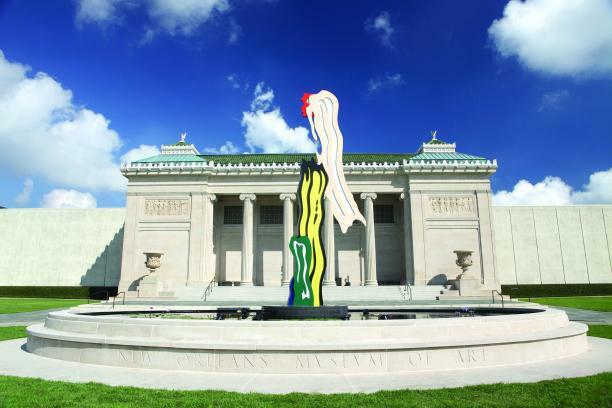 The Contemporary Art Museum St. Louis is thrilled to participate in Art Museum Day once again. 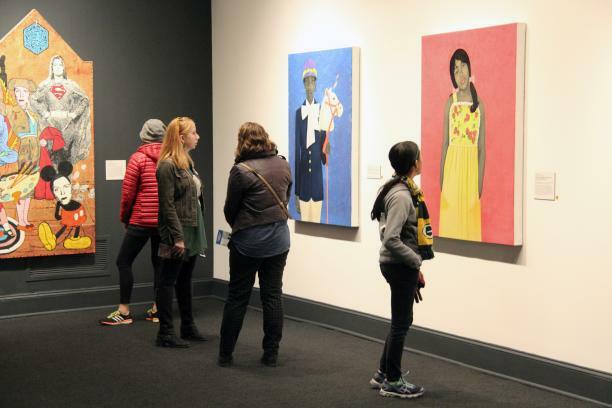 Among the exhibitions on view: new and recent paintings by Amy Sherald, who created the official portrait of former First Lady Michelle Obama. 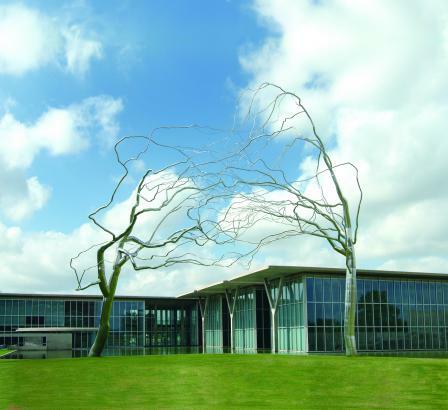 The Kemper Art Museum closes for construction of a major expansion on May 22. On Museum Day, visit the Museum one last time before it transforms to enjoy current exhibitions and deep discounts in the Museum Shop! Free exhibition, The Big Picture, features major photography acquisitions during the past two years; Puppies & Pints, the Young Friends of Art Second Friday Happy Hour, a gathering from 6 to 8 p.m. on the East Sculpture Terrace. Join YFA and special guests from KC Pet Project for our cutest happy hour of the year! Bring along your two and four legged friends and mingle on the East Sculpture Terrace while sampling drinks from local breweries. The Saint Louis Art Museum will offer a free, drop-in guided tour of our building and permanent collection with emphasis on how the Museum has played a role in the local community. The tour begins at 10:30 am at the Information Center in Sculpture Hall. Missoula Art Museum is proud to participate in Art Museum Day. Museums are an important means of cultural exchange, enrichment of cultures, and development of mutual understanding, cooperation and peace among peoples. In honor of Art Museum Day, Missoula Art Museum is offering 10% discount on new individual and family circle MAM memberships and 10% off all bookstore purchases. 12:15pm: Join us for a special "Look! at Lunchtime" discussion of the gallery installation "Josef Sudek: Poet of Prague." Bring a brown-bag lunch—we'll provide Czech baked goods for dessert! Art in Bloom is a biennial celebration of floral designs inspired by the art in MAM's galleries. For this special 10th Anniversary, the Montclair Art Museum is adding Life in Bloom, a community event that takes the theme of Art in Bloom from the garden to the table with a focus on local food, home gardens, and healthy eating choices. Learn to grow it, source it, and cook it from an interactive panel including a master gardener, beekeeper, and local chef. Discover resources in our community with a dynamic fair featuring partners that specialize in habits for a healthy and sustainable lifestyle from slow food to sustainable agriculture, CSAs to composting, and foraging to fermenting. The Museum will also be collecting food donations for the Human Needs Food Pantry. MAM galleries, including Art in Bloom, are open from 2 p.m. to 9 p.m. on Thursday, May 17. Regular museum admission applies and includes all community event activities: $12 adults, $10 students/seniors/veterans with ID, and FREE for members and children under 12. For more information about the full Art in Bloom 10th Anniversary celebration, visit montclairartmuseum.org/artinbloom10. The Princeton University Art Museum offers free admission to the public every day, so on Museum Day we offer a 10% discount in the Museum Store to all visitors. The Museum is also offering a 10% discount on new memberships, and on upgrades to existing memberships. This offer includes a free gift and is good throughout the month of May. 1 PM: exhibition tour with the Museum's Education Fellow. The gallery tour will focus on the current exhibition. The works in Vestiges and Verse: Notes from the Newfangled Epic show expansive worlds inside the minds of the artists. In many cases, the works do so not through representational pictures but through coded systems and ad hoc languages. This interactive tour will focus on works that are not pictorial representations of the artist’s imagination but are nonetheless visual records of the artist’s creative activities and inner worlds. New Perspectives tours are led by the American Folk Art Museum teaching fellow, an emerging scholar in art education, art history, or a related field. The topics of the tours are based on the fellow’s ongoing research and are designed to engage participants in focused examinations of selected objects. The current American Folk Art Museum teaching fellow is Matthew Capezzuto, a doctoral student in the Department of Art and Art Education at Teachers College, Columbia University. 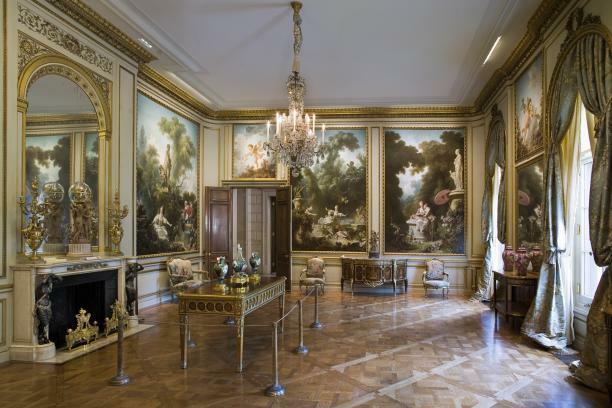 At 11am, the Frick will offer a ten-minute talk focusing on The Frick Collection's Fragonard Room. Tour of the History of Photography gallery by its curator, assistant collections manager Rachel E. Andrews, and Playing in Color, an activity for kids to learn about how early nitrate films were colored. In celebration of Art Museum Day, the Grey Art Gallery of New York University is offering free admission and a 10% discount on Grey publications. 2pm: Laura Vookles, Chair of the Curatorial Department, and Assistant Curator Ted Barrow will explore works on view in the permanent collection as well as the HRM Object of the Month for May, Samuel Colman's "Moonlight in Venice." To celebrate Art Museum Day and the final days of our acclaimed exhibition "Peter Hujar: Speed of Life" (closing May 20), the Morgan is pleased to offer extended free hours on the evening of Friday, May 18, from 5 PM to 9 PM. 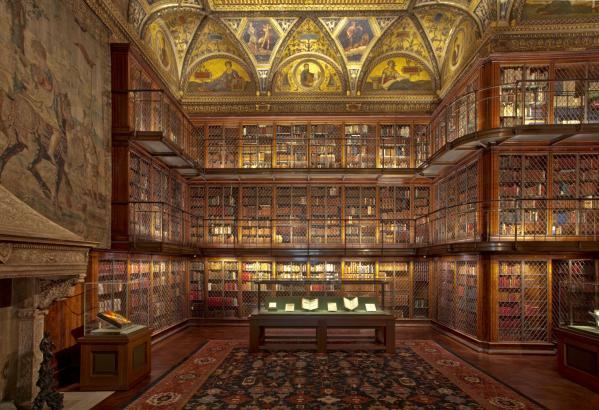 The Morgan Library & Museum. Photo by Graham S. Haber. Docent Tours at 11:30 am and 3 pm. Docent tours are free with admission and meet in the lobby. Artist Studios: Open from 10 am to 5 pm. Visit resident artists Xin Liu and Andrew Bearnot in the Artist Studios at MAD and ask them about their process. Mixing scientific research with personal narratives, Xin Liu creates transformative, participatory experiences and bodily objects to examine the constitution of subjectivity and affects. She trained as an engineer for two decades, and technology functions as her native language and craft within her art practice. At MAD, Liu is working on a project about living and dying in space. She is organizing a performance in outer space, turning earthly bodies into star matter. During her residency, she will design a series of tools and procedures for collecting, cremating, and casing the earth organism and living experiences. Liu earned a Master’s degree in Media Arts and Sciences from MIT Media Lab and an MFA in Digital and Media from Rhode Island School of Design. She also holds a BE in Measurement, Control Technology, and Instruments and a BA in Interaction Design from Tsinghua University in Beijing. A self-described materialist with a background in materials science and traditional craft media, Andrew Bearnot explores the aesthetic potential and technical intricacies of the material world. He is interested broadly in technologies of making and specifically in craftsmanship as a way of both encoding and producing knowledge. His practice focuses on the matter and material culture of the everyday, questioning how the familiar can become unfamiliar, and how objects come into and out of being. At MAD, Bearnot considers the themes present in the Grimms’ tale of Hansel and Gretel, namely the dangers of desire and consumption. He will engage these themes through sugar-sculpting techniques, translating hair and meat into pulled sugar candy. Bearnot holds an MFA in Visual Art from the University of Chicago, a BA with Honors in Glass from Rhode Island School of Design, and an ScB in Materials Engineering from Brown University. Visitors at the Opening of ‘Derrick Adams: Sanctuary’ at the Museum of Arts and Design. The exhibition is on view through August 12. Celebrate Art Museum Day with the Solomon R. Guggenheim! Enjoy 2-for-1 admission, 10% off at the Wright restaurant, and a free gift at the Guggenheim Store when you spend $25 or more. Sunday, May 20: The Sugar Hill Children's Museum of Art & Storytelling celebrates Art Museum Day with Playdate! Free Third Sundays at Sugar Hill featuring exhibitions, storytelling, art-making workshops and more! Free admission Thursday, May 17. Come join us for a day of fun and family programming! Meet the Artists' Reception from 6 to 8 pm. Free and open to all. The Allen Memorial Art Museum will offer a special tour of the centennial exhibition "A Century of Asian Art at Oberlin: Japanese Prints" at 10:15 am, as part of its "AMAM in the AM" series. Last day to see the special exhibitions William L. Hawkins: An Imaginative Geography and Family Pictures. William L. Hawkins showcases the artist's intense, bold, playful works. Family Pictures traces the way artists have used photography to challenge images of African American life since the postwar period. Initiate a conversation with one of CMA's trained guides between 1:00 and 3:00 pm to get your questions answered, chat about a work of art, or be privy to an inside story. The DAI will waive its suggested general admission and offer free admission to the collection galleries on Friday, May 18, 11:00 a.m. - 5:00 p.m., as part of the celebration of the Association of Art Museum Directors’ (AAMD) Art Museum Day, coinciding with International Museum Day. "Meet the Museum" guided tour at 3:30 p.m. on May 18. In addition, the museum will hold a social media photo contest from May 14-20: take a photo at the museum and turn it into a "work of art" using the free Prisma app or similar app. Then either post the photo to the Art Museum Day event on The DAI's Facebook page, or post it to Twitter or Instagram with the hashtag #DaytonArt, to enter for a chance to win four (4) tickets to DAI Trivia Night on July 13. 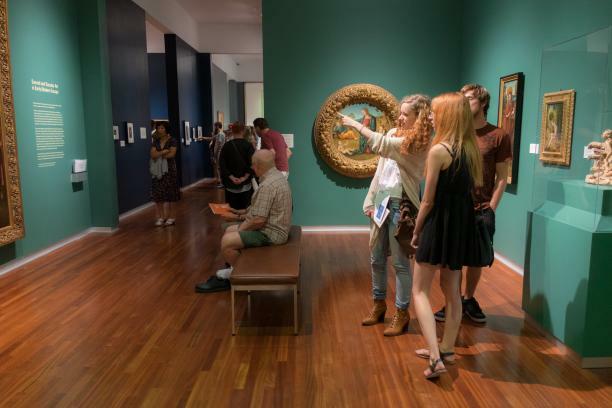 Purchase a new DAI membership or upgrade an existing membership at the museum's Guest Services Desk on Art Museum Day, and you will be entered for a chance to win two (2) tickets to The DAI's Oktoberfest Preview Party on September 21. (Winner will be drawn on June 22; must be 21 or older to enter). Saturday, May 19: Free admission to Museum, includes Louis Comfort Tiffany: Treasures from the Driehaus Collection. Immerse yourself in the beauty of nature at Louis Comfort Tiffany: Treasures from the Driehaus Collection. See the large-scale sculpture by artist Patrick Dougherty on the front lawn! Saturday, May 19: "Inherent Structure," an exhibition featuring 16 contemporary artists whose respective works move beyond the formal considerations of abstraction to reflect material, personal, and political concerns. From 2-3 pm join an Art Gallery of Windsor docent for a free tour of the historical salon wall of Canadian, European and American paintings. A hands-on activity in the studio will be offered afterwards. Join us for a lecture by art historian Noah Charney as he delves into the vast museum of lost art, which has more masterpieces than all the world’s museums combined. 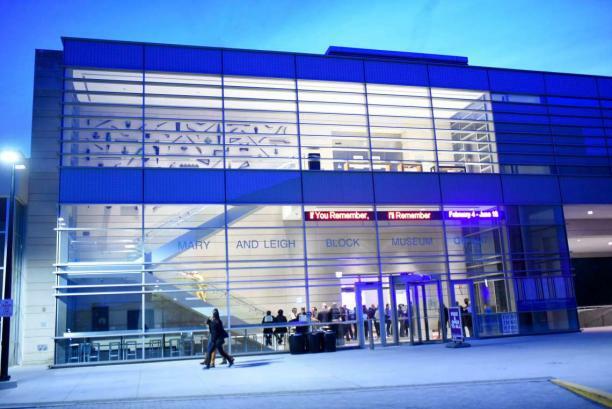 Focusing on works that have been lost to theft, war and other accidents of history, this lecture will examine how 21st century museums and the stories they tell are impacted by these twists of fate. Full-time post-secondary students attending a Canadian post-secondary institution (College or University) enjoy free general admission to the Royal Ontario Museum. Saturday, May 19, noon – 3 p.m.
Join us for a free Family Day! Use your senses of sight, hearing, taste, smell and touch to explore and create artwork at various stations. Family Day will feature performances by a storyteller, JSMA’s Dragon Puppet Theatre, and Ballet Fantastique! In conjunction with the exhibition "Adman: Andy Warhol Before Pop", join us for a coloring party led by artist educators and themed with music, specialty cocktails, and astrology and tarot card readings by Judi Vitale and Angel Lozada, intuitive counselors from Journeys of Life. Sip a cocktail and color shoe, butterfly and cupid drawings just like Warhol did in the 1950s with his friends and fellow artists. Also, enjoy half-price museum admission during Good Fridays and see the special exhibition on the second floor. Celebrate #ArtMuseumDay at the Brandywine River Museum of Art on Friday, May 18. 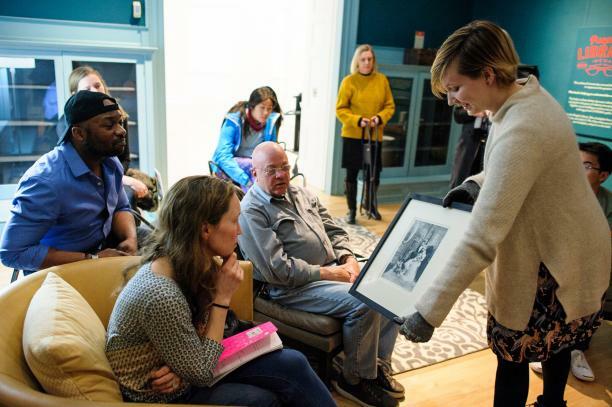 Enjoy free all-day admission, a docent-led tour of the Museum's galleries, and a special gallery talk with Museum curators highlighting three generations of Wyeth art. Visit www.brandywine.org to learn more! On Art Museum Day 2018, visit with CMOA curators in the galleries from 1-5 p.m.
Free admission for docent-led tours of Clayton, the restored turn-of-the-20th-century home of the Henry Clay Frick family, on Friday, May 18, 2018. 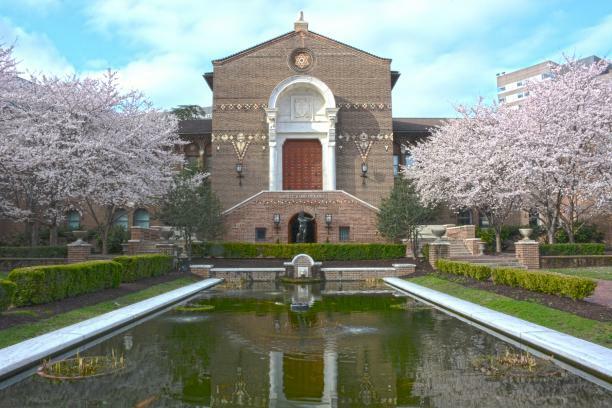 On Friday, May 18, the Penn Museum offers a day of free Museum general admission as part of the Association of Art Museum Directors' (AAMD) Art Museum Day. This offer does not apply to pre-registered tours or group visits. Group visits should be booked in advance to confirm availability. Groups are considered parties of 10 people or more. For more information, visit www.penn.museum/visit/group-visit. Stop in on Art Museum Day and participate in a special scavenger hunt that will guide you on an exploration of each of our galleries. Jane Peterson is the quintessential American impressionist — well-schooled in her craft and well-traveled, open to the possibilities of a changing world. Her work reveals the vibrancy of the early 20th century and mirrors the concerns of a rapidly changing art world. Chief Curator Will South offers valuable insight on this artist and the importance of her work being exhibited in a museum again after 45 years. Free with membership or admission. Enjoy art activities, snacks, and special performances at this fun family event! Inspired by the exhibition 'Contemplating Character,' Selfie Family Day will offer thoughtful and fun activities that will make you see yourself in a different way. Art, gardens, photography, music, theatre, dance, and more will be your selfie tools. Come to the Kimbell on select Friday evenings for a showcase of live local music, hearty hors d’oeuvres, half-price wines, and craft beer from local breweries. This event is presented in partnership with the Fort Worth Weekly. Cash bar; no reservations required. Go to kimbellart.org or follow the Kimbell on Facebook for regular updates on performers and beer selections. Third Saturday for Families, 1-4 pm, a free monthly art making program. Visitors will be invited to stroll the UMFA's American and Regional galleries to study the assortment of still life paintings and prints, and then use props to draw their own still lifes with pastels in the education classroom. 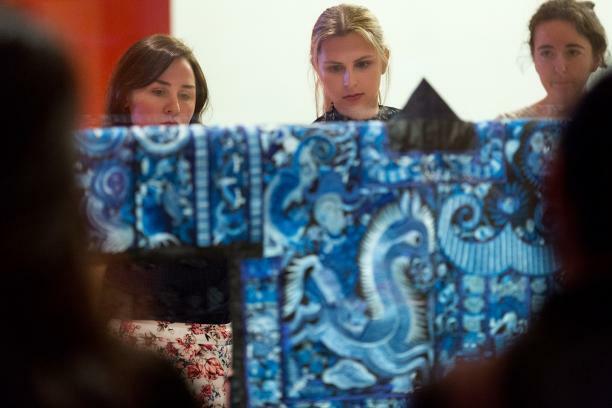 Guests at the Utah Museum of Fine Arts contemplate a secular art piece in the European Gallery. Celebrate with fun activities for the entire family on May 18. 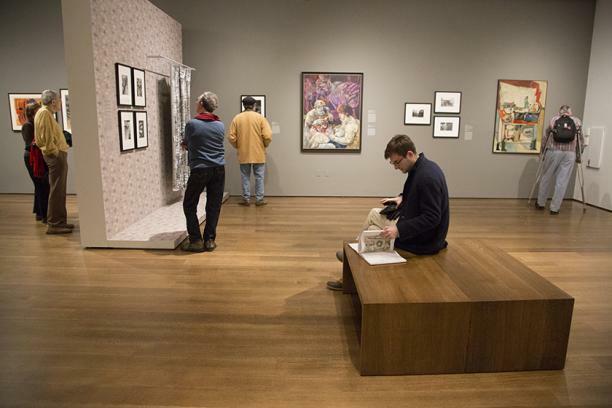 Join us at 11 a.m. in the gallery for a reading of Babar's Museum of Art. At noon, head over to the Glass Studio for a free demonstration. The 2 p.m. gallery talk at the Museum will highlight works from Walter P. Chrysler, Jr.'s collection. Current members who upgrade to Associate ($150) level or above on International Museum Day will receive a free one-year Household Gift Membership valued at $75. Any new members who join at Associate ($150) level or above will also receive a free one-year Household Gift Membership valued at $75. VMFA offers free admission 365 days a year. In honor of Art Museum Day, we will offer visitors an opportunity to pick up passes for our upcoming special exhibition "Napoleon: Power and Splendor," which opens June 6. Visitors who pick up passes on May 18th may redeem them for a free ticket at any point during the exhibition's run. Visitors to the museum on Friday, May 18 can request up to two vouchers from the museum’s Visitor Services desk. Each voucher is redeemable for one adult, senior, student or youth admission to Napoleon: Power and Splendor, which opens June 9 and runs through Sept. 3, 2018. The exhibition will offer visitors insight into how paintings, decorative arts, architectural settings and clothing were all used to support Napoleon’s rise to power and to establish and expand his empire. Vouchers will be available on May 18, 2018 only. They may be redeemed at any time during the run of Napoleon: Power and Splendor, but may not be used for other exhibitions. In addition to this special opportunity, VMFA is the only art museum in the United States open 365 days a year with free general admission. Experience YOUR museum and join us at TAM on May 17 for #ArtMuseumDay! Free admission all day, 10am-8 pm. Visitors receive a 10% discount in TAM Store and TAM Cafe all day, 10am-8pm. Reception for TAM Local: The Culture Shock Collective (community art installation) at 5 – 7:30 pm.